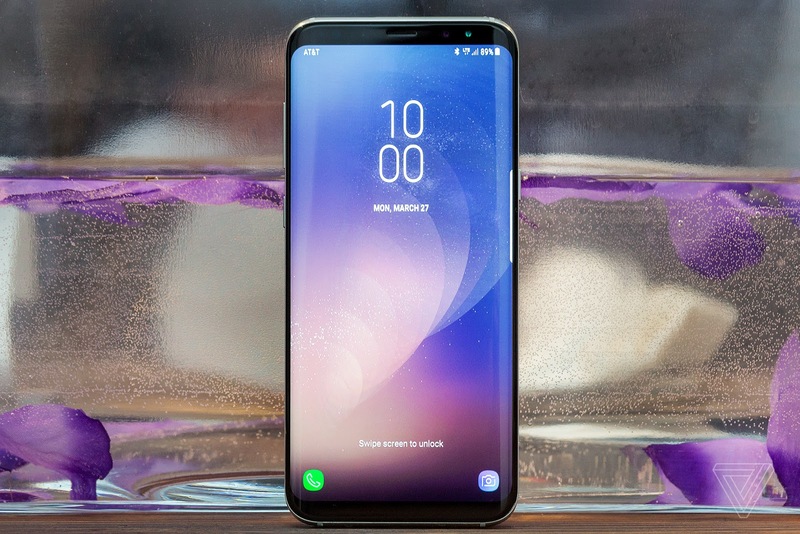 Samsung yesterday announced the latest phone Galaxy S8 and Galaxy S8 + Both come with a number of new features and we will focus on this article on the most important the best and new Samsung Galaxy S8 and S8 plus features. Samsung Galaxy S8 and S8 + come with a screen called Samsung Infinity Display because of the size of 5.8 inches for the S8 phone and 6.2 inches for the S8 + phone as well as because of the aspect ratio 18.5: 9 and also because of thin edges at the top and bottom and bends on both sides as well as the Super AMOLED screen Featuring more saturated colors and high lighting. The Force Touch feature, known as the 3D Touch, is also found on Samsung Galaxy S8 and Galaxy S8 + but in only one part of the screen is the part of the Home Touch button on the screen. The screen is closed and when the pressure is pressed there is a vibration of the phone so that it knows that pressure has been responded to. Galaxy S8 and S8 + come also with a better front camera than the previous generation. Both come with an 8 megapixel front camera with a f / 1.7 lens and autofocus technology, making the silhouette experience better. A new feature in Samsung Galaxy S8 and S8 +, it's the face recognition feature you can use and open the phone with fingerprint reader, a feature found in the version of Android Ice Cream Sandwich, but Samsung said it used a new engine to develop the technology and make it faster, safer and clearer than the experiences and videos. That technology is very fast already and may be in the same quick fingerprint reader but most importantly be close to the safety degree of the fingerprint reader. After, OK Google, Siri and Alexa voice assistant, There's another voice assistant on the block, this time from Samsung and coming exclusively to its new Galaxy S8 phone later this month. It does a lot of the same stuff those other digital helpers already do, only it does them worse while it shakes off its newborn glitches. Personal Assistant Bixby can do a lot of things such as identifying the content displayed on the phone screen and displaying information about it and there is a button inside the camera application through which you can get information about what you are filming, also you can broadcast pictures or videos on the Your phone is connected to a screen connected to the same Wi-Fi as the phone. 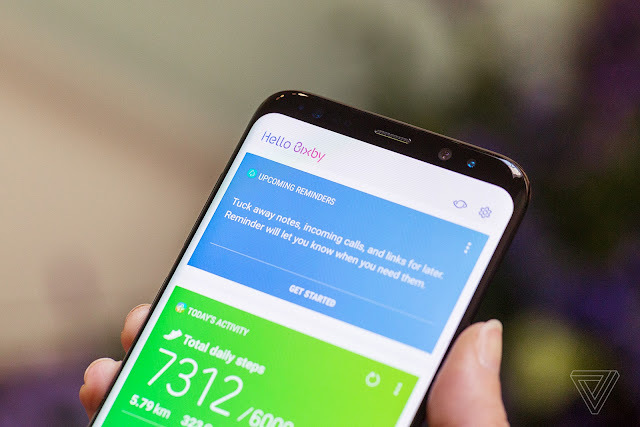 The Assistant also provides a page called Home that brings you news, weather, and a number of information, such as the page in Google Assistant, when you drag from the North to the right.